Stem cell research is growing twice as fast as the world average growth in research, with the area of induced pluripotent stem growing at an annual rate of 77% since 2008. And while Singapore, Italy, the United States, Japan, and Israel show the highest level of activity in stem cell research, the US and China show the highest volume. These and other findings are part of a report released yesterday by Elsevier, EuroStemCell and Kyoto University’s Institute for Integrated Cell-Material Sciences (iCeMS) at the World Stem Cell Summit (#WSCS13) in San Diego. The report combines a publication analysis from Elsevier’s Scopus, the largest scientific abstract and citation database, with scientists’ and other stakeholders’ views on current progress and future expectations of the field. To provide a broad and transparent data-driven view of the field, the study reviewed leading nations’ research output, citation impact and collaboration behavior, and assessed international differences in focus and growth. “The aim of this report was to support development in stem cell science and policy discussion by bringing together comprehensive analytical overview of the fields together with insights from experts,” said Dr. Nick Fowler, Managing Director of Academic and Government Institutional Markets for Elsevier. “This report gives us a bird’s eye view of the international stem cell field, drawing on advanced bibliometric techniques to identify national and international trends,” said Dr. Clare Blackburn, Professor of Tissue Stem Cell Biology at MRC Centre for Regenerative Medicine, University of Edinburgh, and the Project Coordinator of EuroStemCell. “It has been extremely interesting to analyze these data; they contain a lot of provocative information. We hope readers will gain a new understanding of the shape of the field that will stimulate future policy discussions." The findings will be discussed at the summit tomorrow by Dr. Stephen Minger, Global Head of R&D for Cell Technologies at GE Healthcare Life Sciences, UK; Dr. Norio Nakatsuji, Professor and Founding Director of Kyoto University iCeMS); Brock C. Reeve, Executive Director of the Harvard Stem Cell Institute; Deborah J. Sweet, Editor and Publishing Director of Cell Press; and Dr. Brad Fenwick, Senior VP of Global Strategic Alliances at Elsevier. 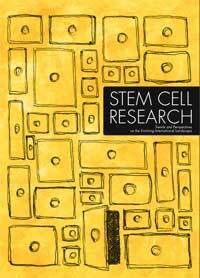 Stem cell research holds great potential to revolutionize health care. Investments in this field strive to develop new treatments for many serious conditions for which few effective treatments currently exist. 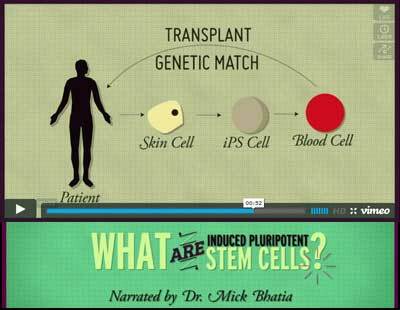 Some basic research findings are being translated into new treatments, and with the discovery of induced pluripotent stem cells in 2006, the field has seen a step-change in biological understanding that will affect the way new drugs are identified and tested and, potentially, the way cells can be generated in the lab. While the field has attracted priority status in many countries, it has also been the focus of continuous discussion about ethics and regulation, with each nation taking its own policy position, some of which have had a clear effect on the dynamics of the field. About half of all stem cell papers use keywords related to “drug development” or “regenerative medicine,” reflecting the field’s ongoing development and clinical promise, 47% of stem cell publications used keywords related to regenerative medicine, while 2% used keywords related to drug development. However, iPS cell publications featured drug development more prominently (11% of iPS cell publications), and these papers were also associated with higher citation rates. The Institute for Integrated Cell-Material Sciences (iCeMS) at Kyoto University aims to advance the integration of the cell and material sciences — both traditionally strong fields for the university — in an innovative global research environment. ICeMS combines the biosciences, chemistry, materials science, and physics to create materials for mesoscopic cell control and cell-inspired materials. Such developments hold the promise of significant advances in medicine, pharmaceutical studies, the environment, and industry. 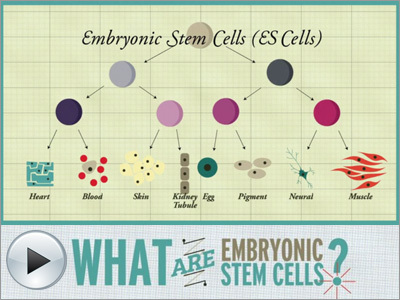 EuroStemCell, launched in March 2010 and funded by the European Commission's Seventh Framework Programme (FP7) , unites more than 90 European stem cell and regenerative medicine research labs in a coordinated effort to engage with the public about stem cell science. EuroStemCell is a partnership of scientists, clinicians, ethicists, social scientists and science communicators and works closely with teachers and patient representatives. Ikuko Oba, Marketing Manager for SciVal Strategic Marketing at Elsevier, is the Project Manager for this report. She is based in Tokyo.